Firstly, the good news is that this forum has done quite well in the Stellar Build Challenge, which means we've been awarded some lumens. You can read more about the Stellar Build Challenge results over at Stellar's blog. Most members on here have probably replied to this thread that I created a while back to get a share of these lumens (5% of them). Originally the reward was for millions of lumens but then the price of lumens went up and the prize got reduced. Also remember that the prize has been shared to multiple forums (300,000 lumens total). There's roughly 400 people that have replied to the original thread, and if I were to equally split 5% of what I received people would get very little lumens to be honest. Congrats. I'm not sure how you gonna define 'most active users' but the idea of random picking users is not very good. I'm not sure is '1st 100 replays' stll counts but you can check your 10 most active users and give the award to them. The rest can take 25xlm enougt to open a wallet in stellar.org :). Cheers and congrats again. I do think active users should be awarded, since their activity is what helps people come back to the forum. But I also think it might be worth giving out a few awards at random. 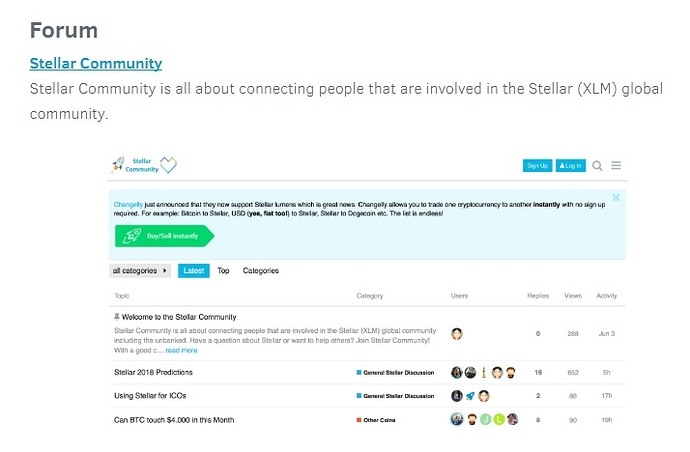 It could give less active people a little push, and make them more excited to become a part of the Stellar community. Disclaimer: I don't think I'm even eligible for any of it, since I joined pretty late. Why not share to newcomer of Stellar LUMEN Network. I don't still have any Lumen XLM. It is still not easy yet to buy Cryptocurrency from various exchange. TBH the equal distribution to active users is the right choice. I agree with @nekrataal - changing the rules afterwards is not fair, no matter what the amount is. In my opinion one should stick to what he/ she says. that's integrity. @jamie - can you create a poll and send out e-mails, trying to reach out to all community members? Give them a vote, not just a thread to reply and discuss. By what criteria would you consider a member to be "active"? This reminds me of my school time, when only the extroverted students would get good grades for participating in class. I was looking at the members section, where all the members and their participation is listed. Would you reward how much the reply (even though, honestly, some replies are so incredibly non-sense), topics created, maybe how much they actually read? I think it's difficult to define such criteria afterwards. Even though 15 Lumens are not much, it still would be the fair thing to do. Bu you can try and create a poll - at least every member would have the chance to get a say in this. I don't think it's anyone's duty to check back here daily - can you reach them via mail? @jamie You must have your own opinion. Opinions will always be there and different. Here you are the leader. So you must dare to decide according to your best opinion. Indirectly your opinion will be received by all members, although some do not agree. But here you are the leader. Thanks for the feedback. The people that mentioned never being able to please everyone are right. I've decided to send out lumens to some users that posted in that thread as well as made a noticeable contribution to the forum. I'll lock this now, thanks again.